At Source Studio, we are a proud certified retailer of Present Naturals products, which are CBD products 100 percent free of THC. Present Naturals is a nationally known brand that provides safe, alternative healing methods for its consumers, and we believe their message aligns with the values of our chiropractic office: You can keep things natural and still see results. Are you interested in learning more about these natural products and how they could provide relief for your neck pain, back pain, sciatica pain, and more? Reach out to our team at Source Studio today and ask about our Present Naturals products! CBD stands for cannabidiol, which is found in cannabis and hemp plants, and it can be used as a relief option for a variety of health conditions, including chronic pain, inflammation, multiple sclerosis, arthritis and more. CBD should not be confused with tetrahydrocannabinol (THC), which is the main psychoactive constituent that makes you feel “stoned” in cannabis. CBD does not give you any feelings of a “high,” lethargy or dysphoria, which is what makes it such an appealing option for individuals and patients who are experiencing pain. A healthy dosage for CBD when treating chronic pain is anywhere between 2.5 and 20 milligrams, depending on your individual situation. We always recommend starting with a low dosage and increasing it, if and when necessary. If you don’t start seeing any results after 25 days of use, consult our chiropractor in Loveland to see if there are other alternative options for you out there. Research for CBD results as they correlate to potential health benefits is still ongoing, which is why we legally cannot make any official health claims. But there is research out there that shows several benefits to CBD use. If you have back or neck-related pain. If you have consistent muscle soreness (from athletic activity or not). If you have discomfort related to arthritis or joint pain. If you have general inflammation. If you’re looking for a natural, alternative solution for anxiety management. If you are dealing with pain related to multiple sclerosis. 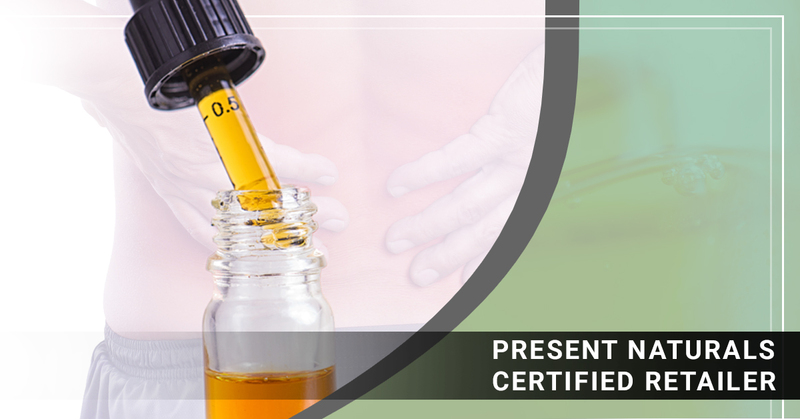 More information on CBD products and how they relate to pain management can be found here. Possible side effects of using CBD products can include the following: nausea, changes in appetite, troubles with sleeping and irritability. The National Cancer Institute also advises that children should avoid using CBD products, as they can have disadvantageous effects on brain development. If you combine using these products with regular chiropractic care from our chiropractor in Loveland, you could see drastic and effective results. For any questions you might have or to learn more about our Present Naturals products, contact Source Studio today.